Most houses in the past just were not developed with mobility device factors in mind. However, over time it is very important to make the needed adjustments to areas like the kitchen and utility room, so the elderly with wheelchairs could have the best level of self-reliance within their residence. But before that, there are many factors to think about like considering the home’s value after the renovation, the type of lift systems and of course, the service provider. See to it that the specialist or a handyman your hire to transform the house for wheelchair access has enough experience when it comes to building these kinds of alterations. Try to look for a service provider that recognizes and understands the factors required in the adjustment procedure.From the layout of the rooms to the added devices and every little thing in between, choose a provider that can offer expert tips and advice. 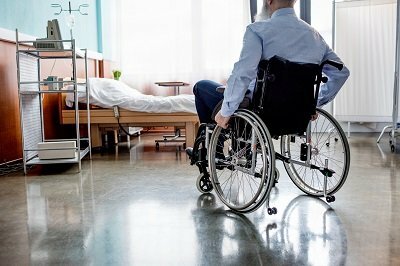 Since moving around in a wheelchair requires manual effort, it is important that the flooring makes it easier to maneuver a wheelchair. For example, deluxe carpets with thick extra padding under could make the wheels sink in and end up being significantly hard to move. But if it is really necessary to have a carpet, consider the density as well as the design. Choose a carpet with less cushioning and also something that makes it easy to move a wheelchair. Once the carpets are installed, make sure to remove the thresholds because they could be irritating to roll wheelchairs over as the elderly navigate from one room to another. It is important to always consider all factors required in making a home wheelchair accessible. With this in mind, there might be a need to install some type of lift system so the elderly can easily access different floor levels in the home. Take note that not everyone in a wheelchair lives in a bungalow. There are numerous types of staircase lift systems. The appropriate staircase lift system could leave enough area for the non-wheelchair residents in the home to be able to use the stairways as well. These lift systems could provide residents in a wheelchair a better degree of independence by having the ability to use other access in the house. There are also home lift systems that could make going from one flooring to the next exceptionally simple. While a professional is needed to it set up, the lift system could have a huge benefit to all those living in the house. For more wheelchair accessibility and other home repair tips, you can always rely on Handyman Conway.